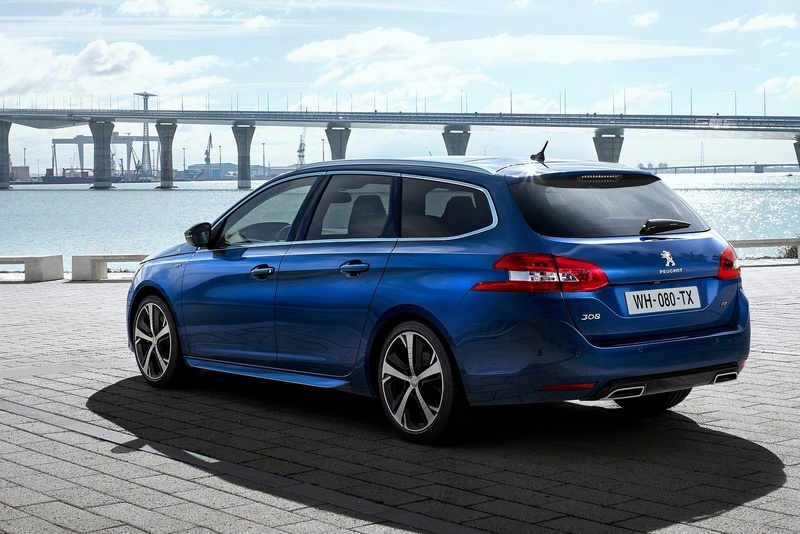 The improved Peugeot 308 SW is that rarity; a compact estate car that not only looks good but is practical too. There's no seven seat option but this model comes with a classy interior, a state-of-the-art chassis and, thanks to some fresh powertrains, some excellent efficiency numbers. I've always struggled a little with the concept of a 'small estate car'. After all, most people buy an estate in search of space and versatility, both tough briefs to meet if the model in question is in any way compact. Though not in this case. 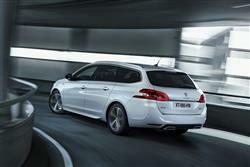 Not with this car - the improved version of Peugeot's second generation 308 SW. Here's proof positive that it isn't how big your car is that matters. It's how cleverly it's been designed for interior use of the space that it has. Let me show you what I mean. This 308 SW measures in at just under 4.6m but offers up to 1660-litres of space. The brand's larger 508 SW, in contrast, measuring in at around 4.8m, has 1598-litres inside. You can see the point. Let's check out the improved version of this model. The 308 SW rides on the same chassis as the hatch and is all about refinement and a relaxed gait. The suspension carries no great surprises, with a standard front strut and rear torsion beam arrangement. 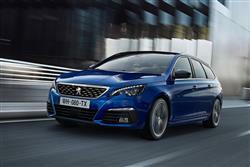 Peugeot has fitted rear trailing arms that allow greater longitudinal arc in the wheel travel. It sounds esoteric but it makes for a smoother ride when the rear wheels hit ridges or bumps. The electrically-assisted power steering is geared towards ease of use rather than detailed feedback but perhaps that's just as well. It makes the 308 SW very comfortable around town in the sort of usage it will mostly see. Onto engines. It's nice to report that the changes made to this revised 308 SW are more than skin-deep. There's an all-new 1.5-litre BlueHDi 130 desel engine for example. And if you're able to stretch up to the 2.0-litre BlueHDi 180 diesel powerplant at the top of the range, you'll now find it mated to an all-new 8-speed automatic transmission. The brand says that its 1.2-litre three cylinder PureTech petrol engine has been extensively revised too, in pursuit of extra efficiency. Otherwise, it's as you were. Most will want the 1.6-litre BlueHDi unit, which comes in either 100 or 120bhp guises. There's also a 2.0-litre BlueHDi engine, offered with either 150 or 180bhp. For petrol people, the engine line-up opens with an 82bhp, 1.2-litre three-cylinder PureTech unit, then there's a choice of either 110 or 130bhp versions of this same engine further up the range. Across the line-up, transmissions are fairly standard fare, with five and six-speed manuals or a six-speed torque-converter automatic. If you want something sparkier, there's a warmed-up GT model. 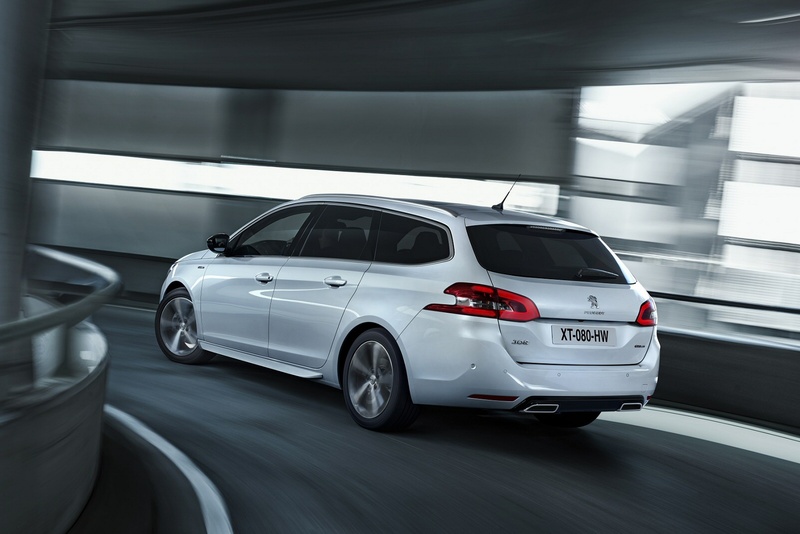 This revised 308 features a sleeker bonnet that flows into a vertical grille that has a central Lion badge and the 'Peugeot' name sculpted into the upper trim. The revised elliptical headlights come with integrated daytime running light LEDs to produce a distinctive front light signature. Other design-led changes include a re-styled front bumper with three lower grille openings to ensure effective engine cooling, while the rear lamps show a smart three-claw light signature. Plusher variants all feature a large glass roof as standard. Despite that arcing roofline, there's plenty of space in the back. The boot below the parcel shelf is a respectable 660-litres, which includes 70-litres of storage under the floor. You also get so-called Magic Flat rear seats which allow instant folding of both parts of the rear seat using levers accessible on the sides of the boot. Thanks to the automatic lowering of the rear seat cushions, the result is a flat floor and 1,660-litres of luggage space. Not enough for the extra third row seating that pevious models used to have though. The boot aperture has a width of up to 106cm and a length to the rear seat backs of 107cm. 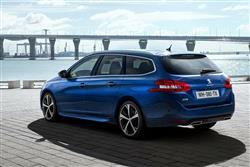 It has vertical side walls with minimal wheel arch intrusion and the load sill is among the lowest of any estate car. The interior retains the 'i-Cockpit' design that sees the driver looking the instruments over the top of the steering wheel. As before, there's also a 9.7-inch centre dash colour monitor incorporating 'Mirror Screen' technology which allows you to connect in your smartphone using the 'Android Auto'/'MirrorLink' or 'Apple CarPlay' systems. There's aso a faster-acting navigation system with voice control that connects into the TomTom real time traffic monitoring service. Prices start from around £17,000 and all models include Bluetooth, air conditioning and a DAB radio. 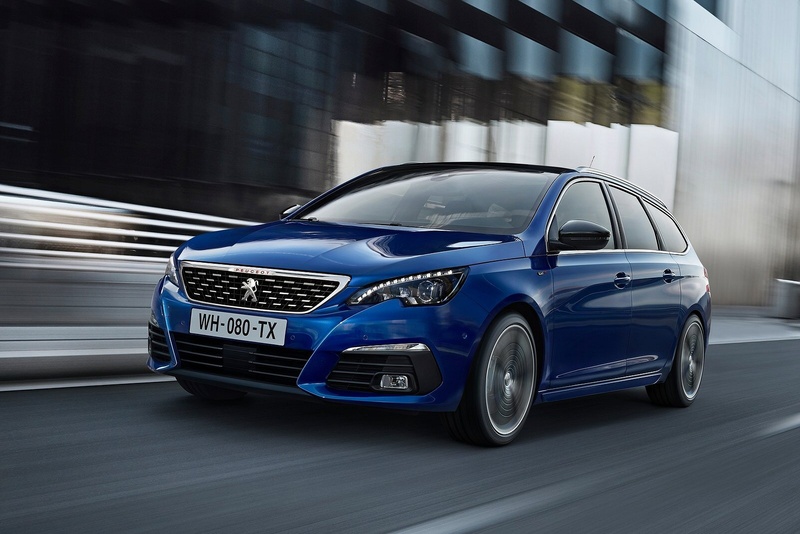 You'll need to avoid the entry-level Access model though if you want the 9.7-inch multi-function infotainment touchscreen that makes the 308's interior such an engaging place to be. That's included at Active level, along with alloy wheels and auto headlamps. The range-topping Allure model gets leather and Alcantara seats, or you can pay a bit more and go for full leather. This features subtle stitching, some impressive fluting and a particularly comfortable shape. The optional electric adjustment includes a variable massage function. The full-length glass roof transforms the feel of the rear seats and is sure to prove a favourite option. Electric parking brakes haven't found universal favour but the one fitted to the 308 is one of the better examples. It disengages automatically as you pull away and makes the centre console look clean and tidy. 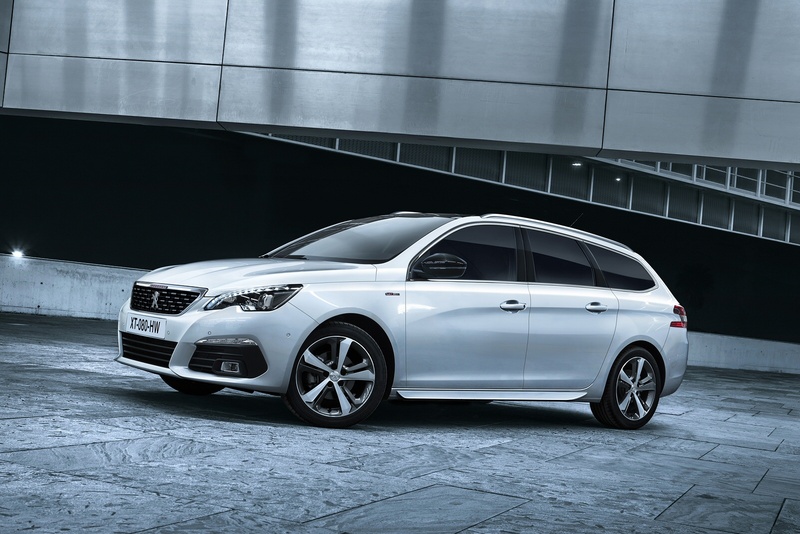 The aluminium roof bars are a standard fit item and Peugeot will also sell you accessory and carrying systems for roof boxes and cycle carriers. So what's changed from an efficiency perspective? Well, the three-cylinder 1.2-litre PureTech petrol engine has undergone a major upgrade, with at-source and at-exhaust emission control for low real-life fuel consumption and even more efficient pollution reduction. High-precision injection control on the PureTech 130 Stop&Start unit enhances combustion efficiency: exhaust gases go through a catalytic converter then a passive-regeneration gasoline particle filter. A new six-speed manual gearbox allows owners to reap maximum benefit. Even more significant is the introduction of the brand's new 1.5-litre BlueHDi 130 S&S Diesel engine, a four-cylinder unit that also implements at-source and at-exhaust emission control. Combustion efficiency is improved by a patented combustion chamber design, the efficacy of which was amply proven under competition conditions in the 24-hour Le Mans event. Further efficiency gains are afforded by the SCR (Selective Catalytic Reduction) pollution control system, fitted as close as possible to the engine for the fastest possible post-treatment action. Let's give you some stats. The 1.6 BlueHDi variant many buyers will still choose returns around 80mpg on the combined cycle and emits not much more than 90g/km in base 100bhp form. In the 120bhp version, these stats actually improve - to over 85mpg and around 85g/km. Don't automatically opt for a diesel though, until you check out the PureTech petrol options which could make more sense for lower mileage owners. All of this is helped by this car's relatively light weight. 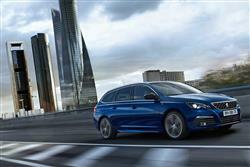 The 1.6 diesel for example, tips the scales at about ten per cent less than the equivalent Volkswagen Golf Estate. If you�re looking for a new Peugeot 308 1.2 PureTech 130 Allure 5dr EAT8 Petrol Estate for sale, you�ve come to the right place. 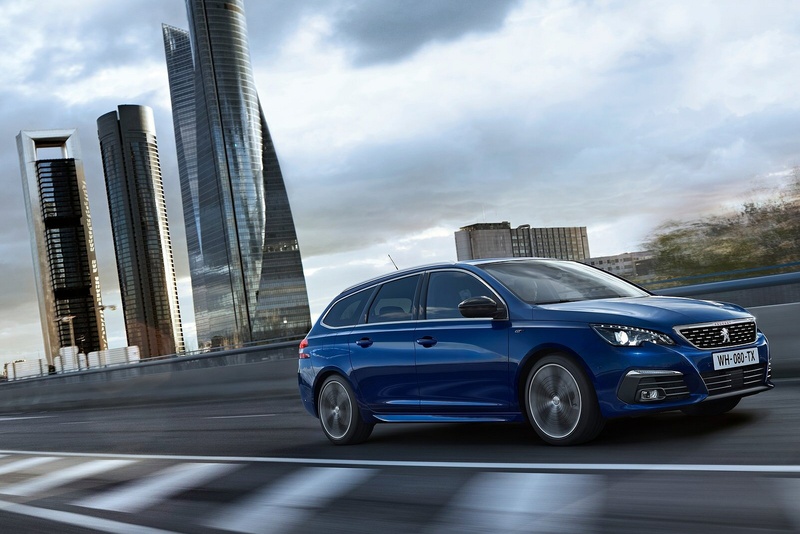 At Bristol Street Motors we don�t just have the best Peugeot 308 1.2 PureTech 130 Allure 5dr EAT8 Petrol Estate deals, we also offer friendly advice and help with all your enquiries to ensure your buying experience is a happy experience.